For the first time there is an exhibition that focuses entirely on the photobook. None too soon, because there’s a lot to say about it – even too much for an exhibition. The book is becoming increasingly important within the world of photography, to the extent that there is now an exhibition exclusively devoted to it. Photobook Phenomenon offers an at once linear and kaleidoscopic overview of the medium throughout its history. The show also zooms in on the role the photobook plays in our contemporary visual culture. Nine curators subdivided more than 500 publications following seven themes. A series of 57 high-quality publications from the 13,000+ volume private collection of the British Magnum photographer Martin Parr runs through the different areas and connects everything together. From the beginning, the first book on display poses a challenge: The Book of Bread (1903) by Owen Simmons is a guide to bread-making. Immediately it shows the wide range of interesting photographic publications. The odd little books displayed in a showcase a little further down, appear to be tiny propaganda publications by the Nazis, in which Hitler has been glorified and with which one was able to decorate the Christmas tree. 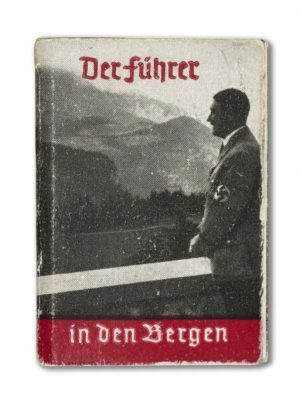 Next to it one finds the KZ – Bildbericht aus fünf Konzentrationslager (1945) [KZ – Pictorial report from five concentration camps] American airplanes dropping these staggering pamphlets wanted to confront the German people with the horror of their own concentration camps. This seamlessly brings us to the protest and propaganda books, curated by Gerry Badger, together with Parr co-author of the three-volume reference book The Photobook: A History. Legendary Japanese protest books from the 1960s strike the eye here, but also more recently published books measuring the temperature of the political climate of resistance. In the Shadow of the Pyramids for example, made by the young Laura El-Tantawy, is a very personal take on the 2011 protests in Cairo. And in Negative Publicity: Artifacts of Extraordinary Rendition (2016), Edmund Clark researches invisible CIA-practices by following a censored paper trail. A little further on Markus Schaden and Frederic Lezmi analyze the groundbreaking Life is Good & Good for You in New York. 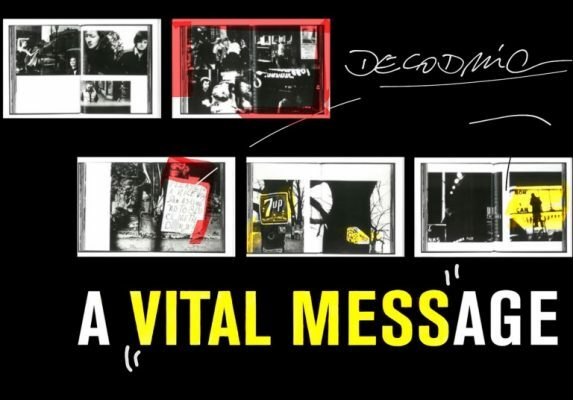 The spreads from William Klein’s 1956 classic have been pasted onto two elongated walls like fluctuating notes from a vital music piece, accompanied by colored markings and commentary. A visually smart way of sharing insights into the dynamics of a photobook. Klein’s influence on Takuma Nakahira and Daido Moriyama, members of the equally groundbreaking Provoke-movement, leads us to Japan, the birthplace of the modern photobook. 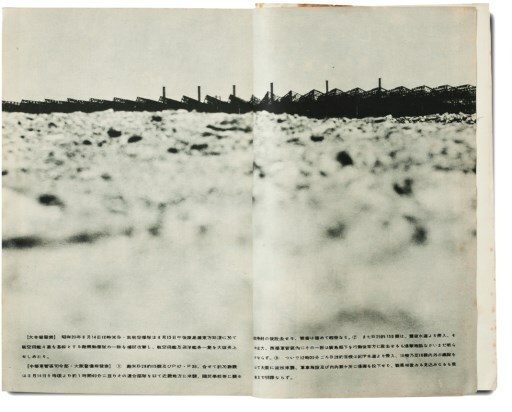 There’s succinct attention for exquisite printing technique and excellent book design, typical of Japanese publications of the 1960s and 70s. Paradoxically, the standards drop when we arrive at the contemporary generation of photobook makers. Thorough attention to design, image selection and sequence today turns the photobook into the perfect medium for complex and layered stories. A pity, then, that in a limited installation the emphasis falls on the protracted creation process preceding such books. The section of old, often rather bizarre manuals and hobby books from Erik Kessels’ collection also feels rather noncommittal. The exhibition ends with an international sampling of interesting photobooks published in the last two years. There are three Belgians on the reading table: Peter Dekens, Geert Goiris and Sébastien Van Malleghem. Although toward the end Photobook Phenomenon seems to overplay its hand a bit, the curators have succeeded in painting a broad and varied picture about the photobook then and now. Furthermore, the innovative variation in the display of sometimes rare copies – physically, on the wall, in a video piece or digitally – could be inspirational for future exhibitions with or about books. Translated by Taco Hidde Bakker. Originally published in Dutch in De Standaard, supplement Culture and Media, Monday 17 July 2017.